The husband of the founder of the Miss Trans America pageant killed his wife last Friday. Christa Leigh Steele-Knudslien, 42, was allegedly killed by her husband Mark Steele-Knudslien, 47, at their home in North Adams, Massachusetts. Later that evening, Mark turned himself in to police. He was arrested and he is being held in Berkshire County Jail. His arraignment is scheduled for later today. The Office of the Chief Medical Examiner labeled the death a homicide and said that Christa Leigh suffered multiple blunt force trauma to the head. Police have not released any information about the motive. 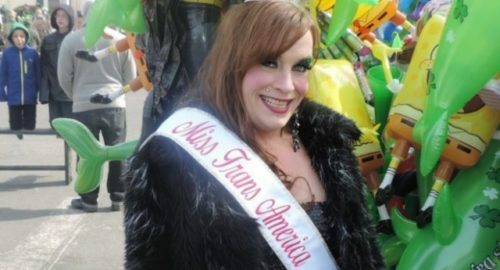 Christa Leigh was active in the transgender community and founded both the Miss Trans America pageant and the regional Miss Trans New England. Several media outlets are counting this murder as the first murder of a transgender person in 2018. While this loss of life is tragic, for the purposes of Transgender Day of Remembrance a murder is counted if it was “based on bias against transgender people,” even if the victim did not identify as transgender in life. Without information about the motive, we believe it is too early to describe this tragedy in that way.